and with a Zipper, too. Couldn't have happened to a nicer bow!!!!!!!!!! those are some nice looking bears, congrats. Hey guys looks like you had a great time & some good luck! !Nice bears ! !Next shoot bring some pics.!! Way to go guys!!!!! Great camo there too Brian....love that stuff. 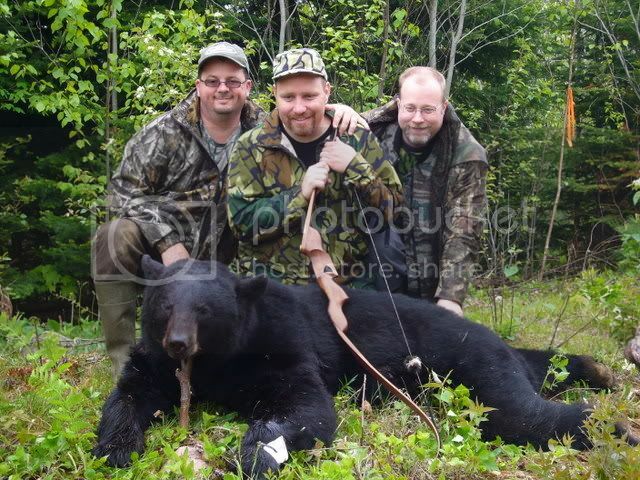 Great lookin bears guys. If you don't mind me asking where/who did you go with. I'm doing reasearch to possibly set up a hunt for next year. Where did you do your hunting up here? Nice bears by the way. Was that at Slipps Brothers? Nice bears you two! Hey Brian where's the Kodiak? 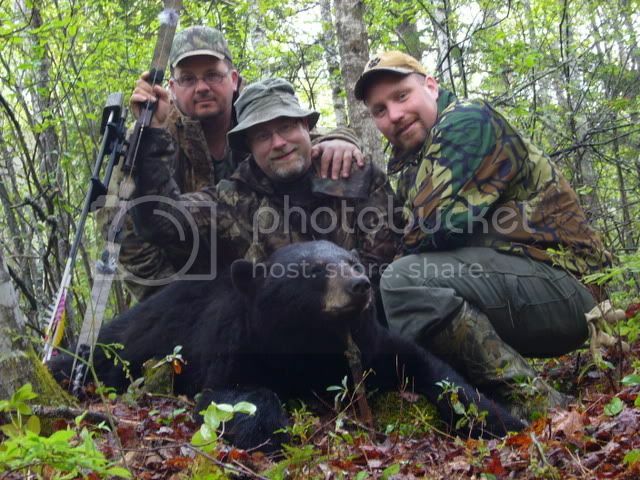 Congrats on an awesome looking bear. Nice looking zipper also.